Skin Cancer Center of S.E. Michigan, P.C. Skin cancer is the most frequently diagnosed type of cancer; one in five Americans will develop it in their lifetime. Over the last 30 years, more people have had skin cancer than all other cancers combined. Like other cancers, it is the uncontrolled growth of cells. Skin cancer is most often caused by ultraviolet radiation from the sun, and a history of frequent sunburns puts you at risk. The types of skin cancer include actinic keratosis, basal cell carcinoma, dysplastic nevi, melanoma, and squamous cell carcinoma. Basal cell carcinoma (BCC) is the most common type of skin cancer. It is rarely fatal, but can be highly disfiguring if untreated, though it rarely spreads beyond the tumor site. BCCs often look like open sores, shiny bumps, or scars. Squamous cell carcinoma (SCC) is the second most common form of skin cancer. SCCs often look like scaly red patches, elevated growths with a deep depression, or warts. It can become disfiguring or even deadly if left untreated. About two percent of people with the disease died from it in 2012. While it can occur on all areas of the body, the most common areas are frequently exposed to the sun, such as the ears, lips, face, scalp, neck, hands, and extremities. 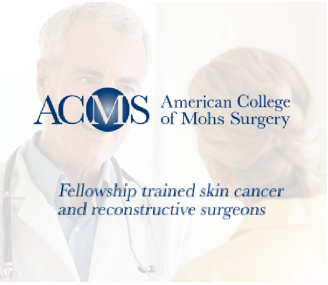 Mohs surgery is particularly effective at treating basal cell carcinoma and squamous cell carcinoma. It spares the most healthy tissue while simultaneously removing the most unhealthy tissue. It has a standard 98% cure rate, much better than other methods. It is recommended that everyone perform a monthly self examination of their skin to find signs of cancer early. Skin cancer is the most frequent type of cancer, but is also highly treatable. Skin cancers that are found and removed early have the highest survival rate and are almost always curable. It may be helpful to have a doctor examine your skin first to assure you that any freckles or other spots are normal, and to treat any that are not normal. The small investment of a few minutes each month to examine your own skin could save your life. The Skin Cancer Center of Southeast Michigan provides the highest quality Mohs micrographic surgery and skin cancer treatment available. Located in Southfield, Michigan, the Skin Cancer Center of Southeast Michigan was established in 1992. We use state-of-the-art technology to provide the best skin cancer treatment. Mark A. 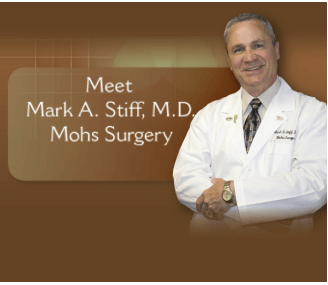 Stiff, M.D. 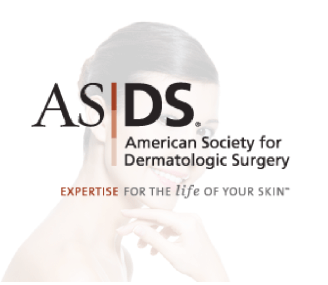 is the lead surgeon of the Skin Cancer Center of Southeast Michigan and is certified by many organizations. You can trust him with your skin cancer treatment because he is highly qualified and compassionate. Regular update on sales and promotions in your area. Stay in the loop!